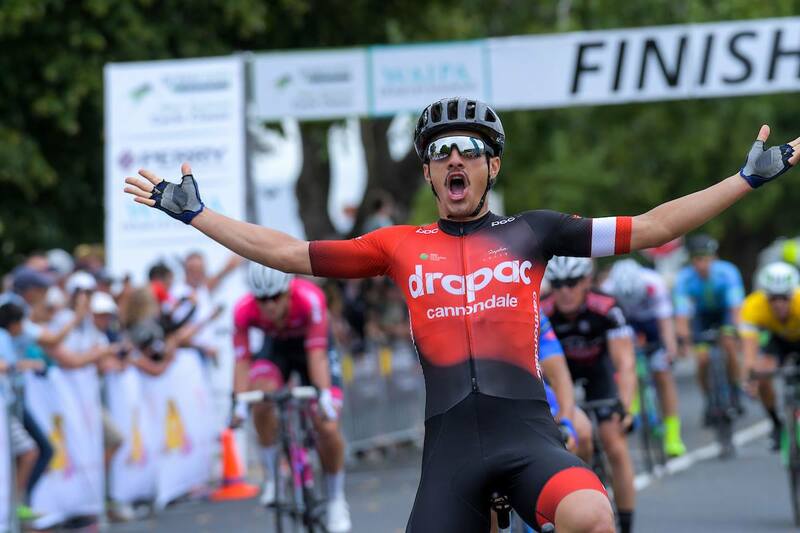 An experienced and tough Kiwi riding on a new Irish team, Aaron Gate has brought home the bacon. He’s held the yellow jersey all the way at the New Zealand Cycle Classic. Having won the opening stage last Wednesday, Aaron Gate has completed his collection of yellow jerseys at the New Zealand Cycle Classic. 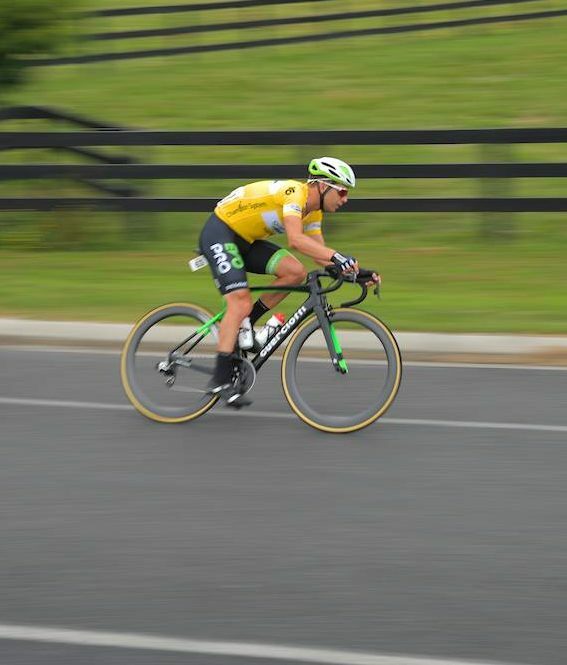 The Kiwi riding for Irish team EvoPro Racing comes away from the race with the only yellow jersey that really matters; the final one. The 28-year-old finished 7th in the bunch sprint that decided the concluding stage today. His compatriot and team mate Shane Archbold was 3rd. However, they couldn’t get past the Drapac-Cannondale Holistic duo of Theodore Yates and Jensen Plowright. They took a 1-2 today into Cambridge. And while EvoPro Racing would have loved another victory, they have won the race with Gate, who also claimed a stage. He built his outright victory on the back of a breakaway on the opening day’s racing. He broke clear with Matt Zenovich (St George Continental). They had just over one minute on the bunch on the line, where Aaron Gate took victory and the first race leader’s jersey. Yates was delighted with a win on home roads today for his Continental level team. Gate and Zenovich would remain 1st and 2nd overall during the next two stages, despite the efforts of the Swiss National Team and others. And when the race finished on a climb on Saturday’s stage 4, Gate took 3rd place with team mate Daniel Whitehouse in 4th. Zenovich lost time and that left Gate with a cushion of 1:09 in the general classification over stage 4 winner Jesse Featonby (Oliver’s Real Food). And on the final stage today, that’s how it stayed; Gate running out a comfortable winner of the UCI 2.2 ranked race. The team took 1st and 3rd on the opening stage with Gate and Wouter Wippert. Archbold was 2nd on stage 2 and Gate took 2nd on stage 3. And the men in green then rounded out the race with 3rd on stage 4 and the same again today. It was a great start for the team; competing for victory every day and taking the outright win. And their success in the five-day event followed Luke Mudgway and Cyrus Monk claiming 1st and 3rd in the Gravel and Tar Classic (1.2) in New Zealand last weekend.